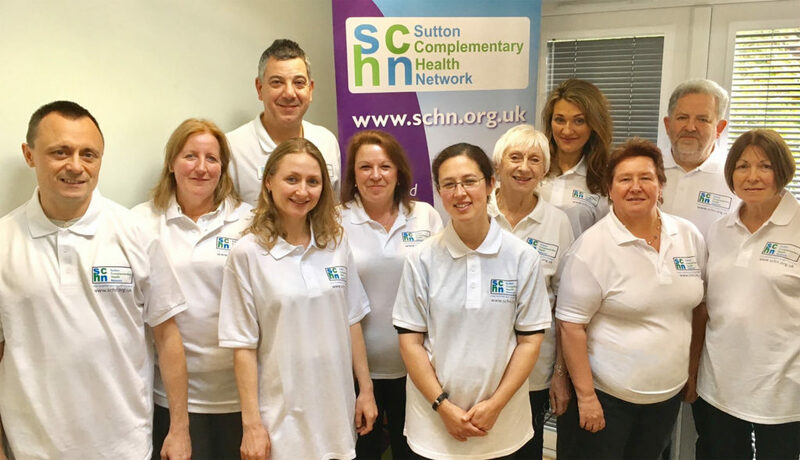 SCHN is a group of Complementary Health Therapists covering Sutton, Carshalton, Ewell, Cheam, Epsom, Wallington, Banstead, Belmont, Coulsdon, Waddon, Hackbridge and Merton. The Sutton Complimentary Health Network has over 20 different complementary therapists that will be able to assist you with your particular health concerns. Please do not hesitate to contact us with any questions. We often promote our therapies and complementary healthcare through talks, demonstrations, leaflets, fetes and local events. Visit our news and events page to see where you can come along and meet us and support a worthy cause. Sutton Complementary Health Network members meet for a video shoot at a special meeting in addition to our monthly meetings. Complementary Therapy runs alongside conventional (Western) medicine and acts as a holistic support for the entire body, amongst other treatments. Complementary medicine aims to bring the body into balance by creating a state of wellness and wellbeing in the person. Very often complementary therapies derive from many thousands of years of experience from ancient cultures around the world. They often use natural products, drawn from nature to treat. Around one in five people in the UK have used some form of complementary therapy or treatment. All the evidence shows a massive rise in public interest in, and use of, complementary and alternative treatments. Have a look at our therapy list and see who could help you. Then give them a call to talk it through. Everyone is very happy to discuss your condition with you and find the best solution.